Becky Masterman’s debut novel Rage Against the Dying was published in 2013 to little fanfare. The critical response was immediately positive, causing readers to begin to discover this new talent. 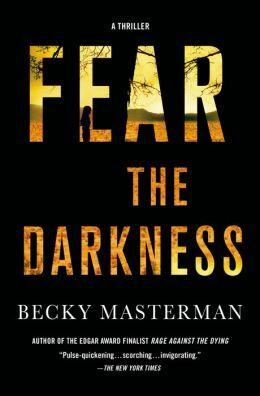 Eventually, the novel started to rack up award nominations and wins which brings us to January 2015, when Masterman’s second novel, Fear the Darkness, is one of the most eager awaited titles of the season. Fear the Darkness once again features Brigid Quinn, the fifty-nine-year-old, retired FBI agent who captured reader’s attention in that first outing. While it is true that a novel can’t exist with only a strong central series character, having one goes a long way towards captivating your audience and getting them on your side before the first page is turned. Everyone is rooting for Brigid – she’s that feisty, know-it-all neighbor we all love but also know to stay clear of when she is on a mission. As with the first book in the series, Fear the Darkness begins with a flash-forward prologue in which Brigid finds herself in a very precarious position. This method of storytelling allows Masterman to clue readers in that dire circumstances are coming up in Brigid’s life. Thus, once the novel flashes back to the present day, Masterman is able to more leisurely spin out her storyline at a realistic pace. 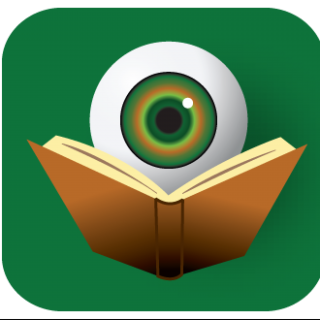 The major gist of the novel is two-fold. First, after the death of her sister-in-law, Brigid agrees to allow her niece, Gemma-Kate, to come and live in the Arizona home she shares with her live-in boyfriend, Carlo. As with any “instant family,” growing pains are involved. Running counter to this – and at times intersecting with it – is a case that Brigid is asked to investigate by a couple at the local church. Their son has died under circumstances that while ruled accidental, could actually have been suicide or even murder. They simply don’t believe that the police were vigilant enough in their original investigation. With the help of her best friend, her boyfriend, and even Gemma-Kate, Brigid is determined to find the answers so that this family can begin to heal. Becky Masterman’s writing features luscious imagery and beautiful use of language. She is able to tap into the deepest wells of humanity – both the good and the bad – without losing sight of the character’s soul. Her love of animals is also abundantly clear throughout Fear the Darkness. Readers will easily relate to Brigid as they watch her manage her day job (in this case, crime-solving) while simultaneously navigating the struggles associated with an ever-changing personal life. These characters feel like the living and breathing embodiments of the everyday people around us. As with the debut novel, Fear the Darkness, is gripping in its hold on the reader. Storyline twists allow for thrilling action sequences juxtaposed with realistic scenes of domestic conflict. In the end, no easy answers are offered and Brigid is certainly not one for meaningless platitudes. What readers will find is that Fear the Darkness is a novel with a lot of heart and it is not afraid of exposing it. The fact of the matter is that Becky Masterman is only just beginning her career in crime fiction, and for that readers should be very glad indeed. After reading Rage Against the Dying and Fear the Darkness, following the further adventures of Brigid Quinn is going to be high priority for fans of damn good storytelling.